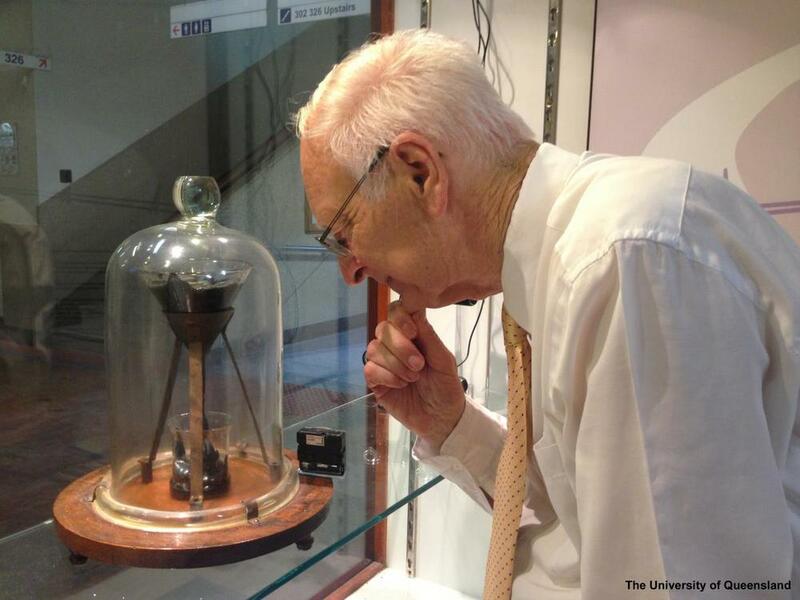 In 1927 Professor Parnell heated a sample of pitch and poured it into a glass funnel with a sealed stem. Three years were allowed for the pitch to settle, and in 1930 the sealed stem was cut. From that date on the pitch has slowly dripped out of the funnel - so slowly that now, 83 years later, the ninth drop is only just fully formed. This is the longest running experiment we have and no one has actually seen any of the nine drops fall. If this sounds like something you have heard of, you may be like me and have heard of it via the great RadioLabs. I share this to point that Christian Spiritual Formation is much like this pitch. It is something that takes a long time and is very difficult to see the movement. Each day through the different forces of spiritual disciplines we are pulled. But more than that, it is worth noting that the material we call pitch seems like a rock in room temperature. That is to say, it looks like a solid - unchangeable. While there is an ongoing discussion about nature vs. nurture, what seems to be assumed in the discussion is that human beings, once formed by nature and/or nurture, are set - unchangeable. Perhaps it might be better to think of humans more like pitch. We are fluid. We change. And if we are made in the image of God, perhaps God changes?